Kingfisher's Mould Release Oil acts as an agent to prevent freshly poured concrete from sticking to its mould or formwork and thereby facilitates removal of the formwork once it has cured. Used correctly, Kingfisher Mould Release Oil reduces damage caused to edges during release and controls hydration of the concrete leading to fewer curing cracks. In addition it reduces corrosion on steel formwork and associated rust staining of the adjacent concrete. 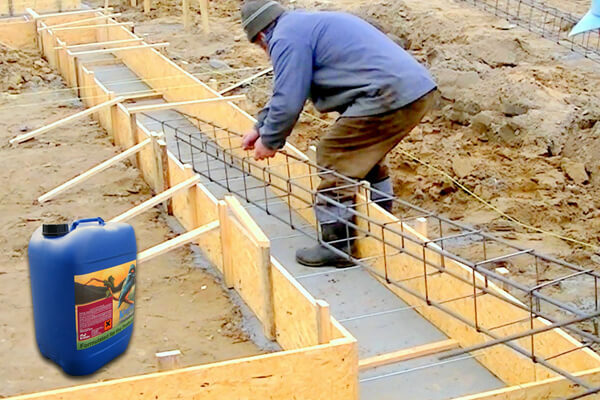 Kingfisher Mould Release Oil has excellent coverage and should be applied by brush to steel or timber formwork before casting concrete.